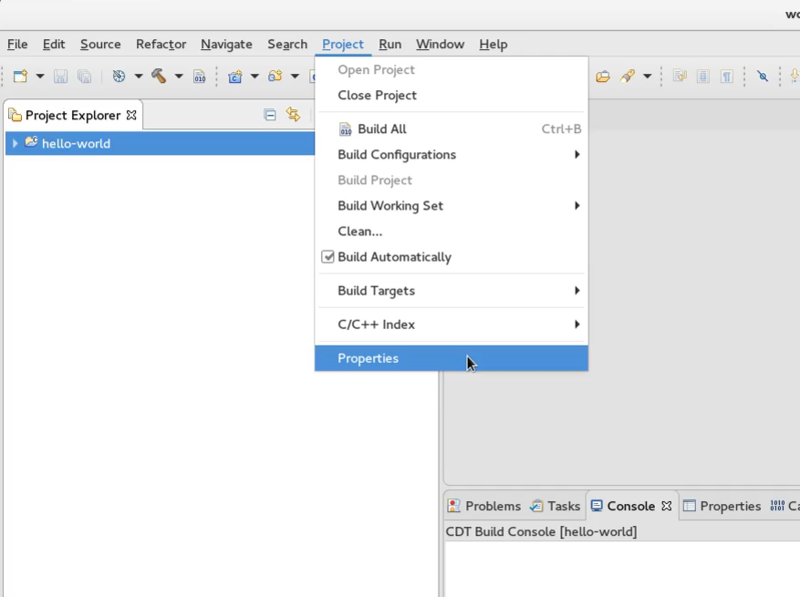 In this section, you will configure the Eclipse IDE for cross-compilation and learn how to use it to deploy your application to the target. 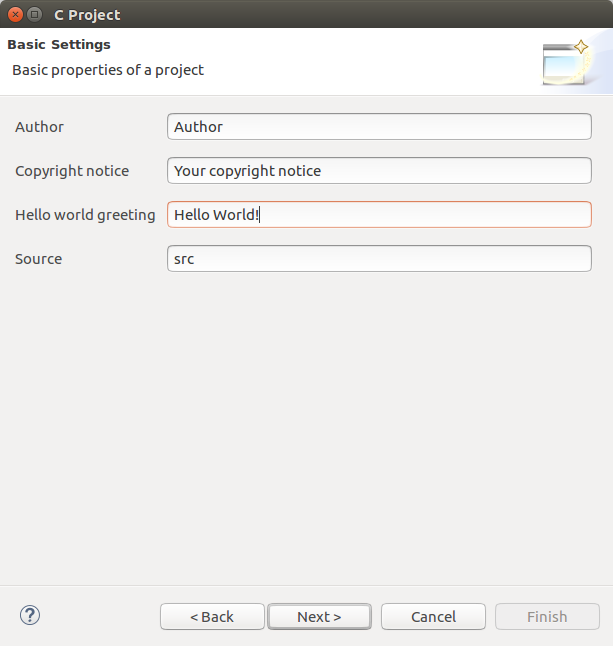 Information provided in this section was based on the Linux SDKs and the Hello World application on Embedded Linux articles from Toradex' knowledge-base. 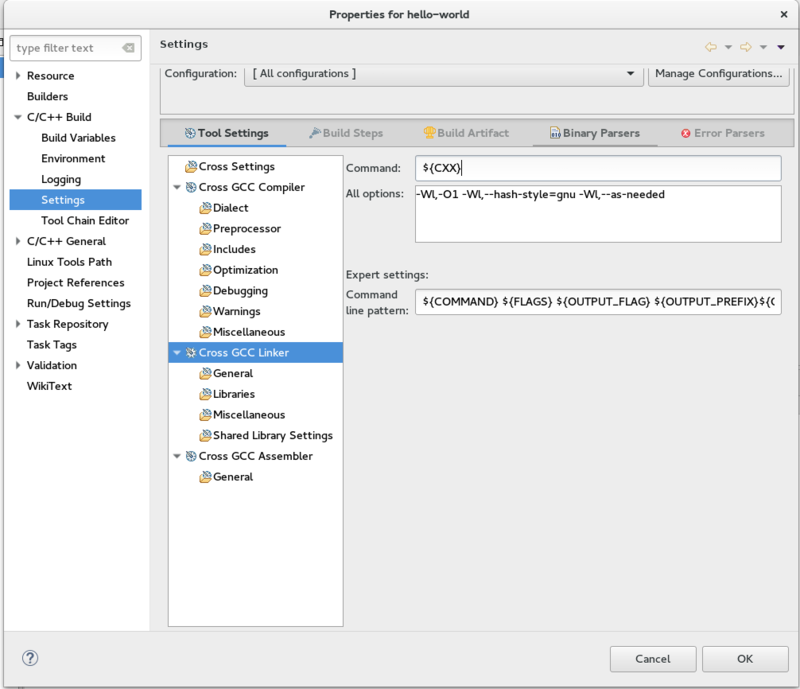 Notice that even though the latter uses the Linaro toolchain, the concepts presented can be applied when using the OpenEmbedded SDK as well. 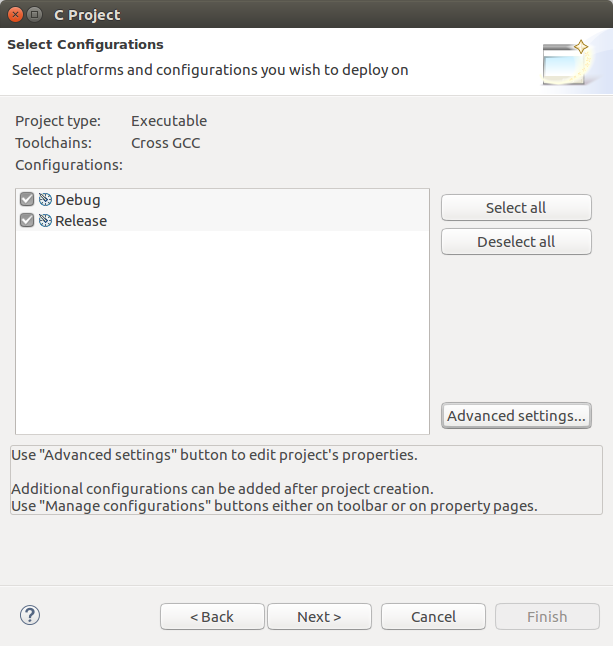 Note: This guide provides information for the Eclipse Neon 3 release. Other releases than Neon may require extra steps to be followed which are not covered in this guide. 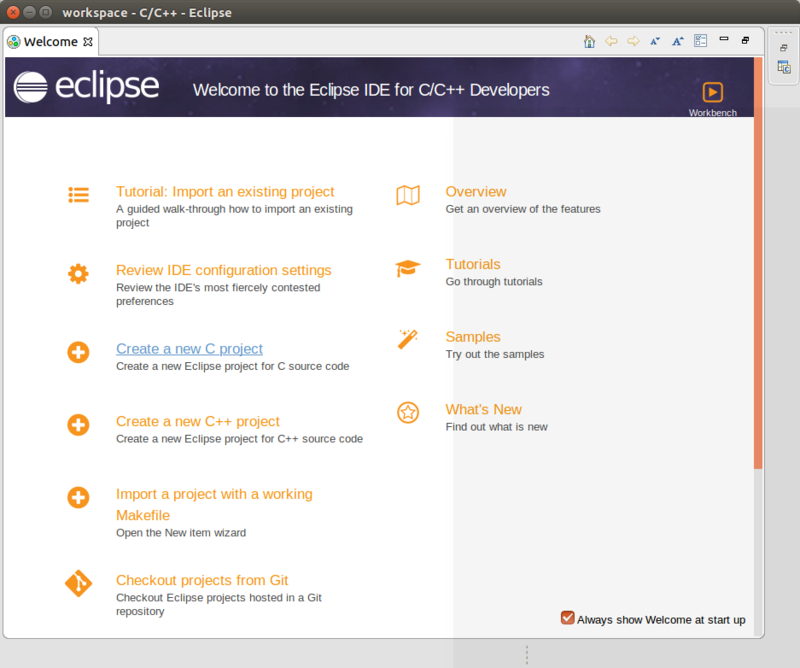 For illustration purposes, consider that Eclipse is downloaded to ~/Downloads. 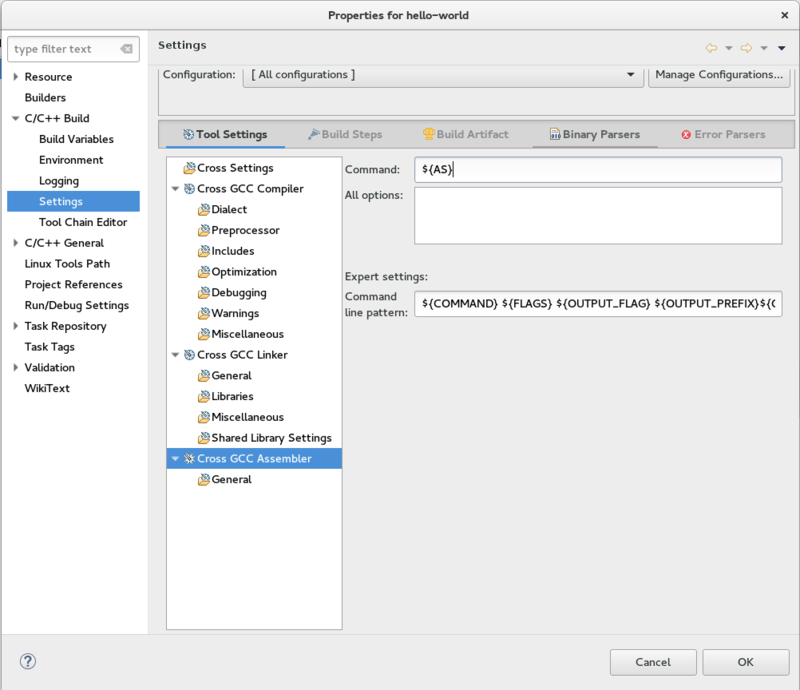 Attention: If you close Eclipse and the terminal, you need to export the variables again before starting Eclipse. 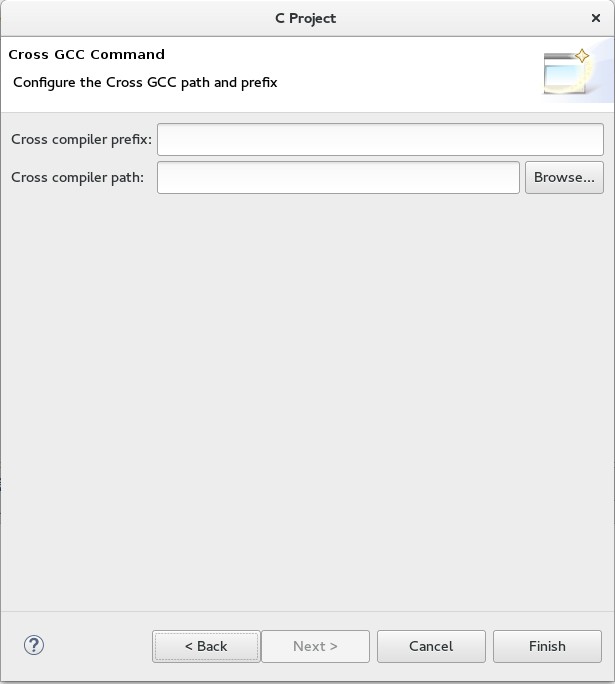 Warning: In the first command above, notice that there are a dot and space before the path to the script. 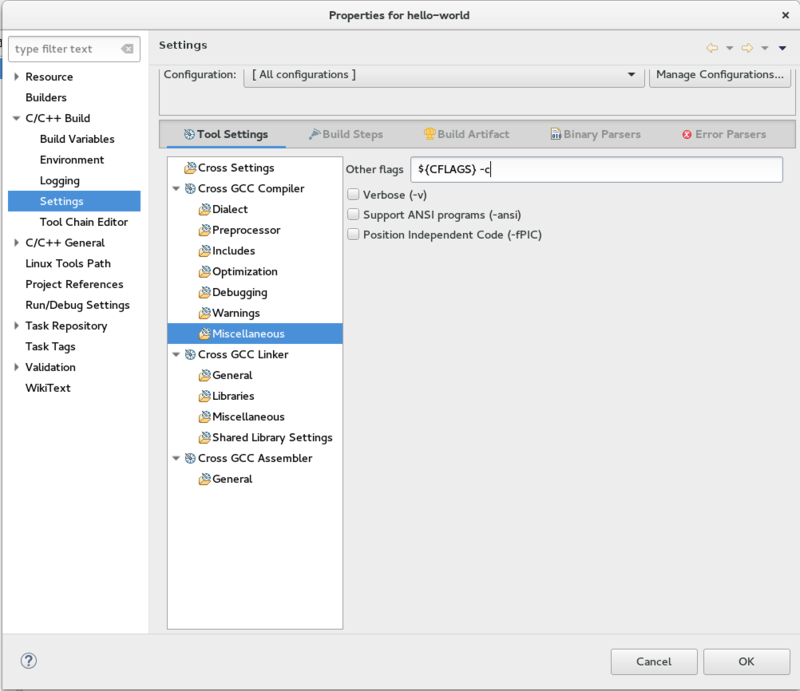 This lesson covers the basics of Eclipse IDE configuration, therefore this FAQ section is meant as an information complement. Please go to the next lesson from this guide. 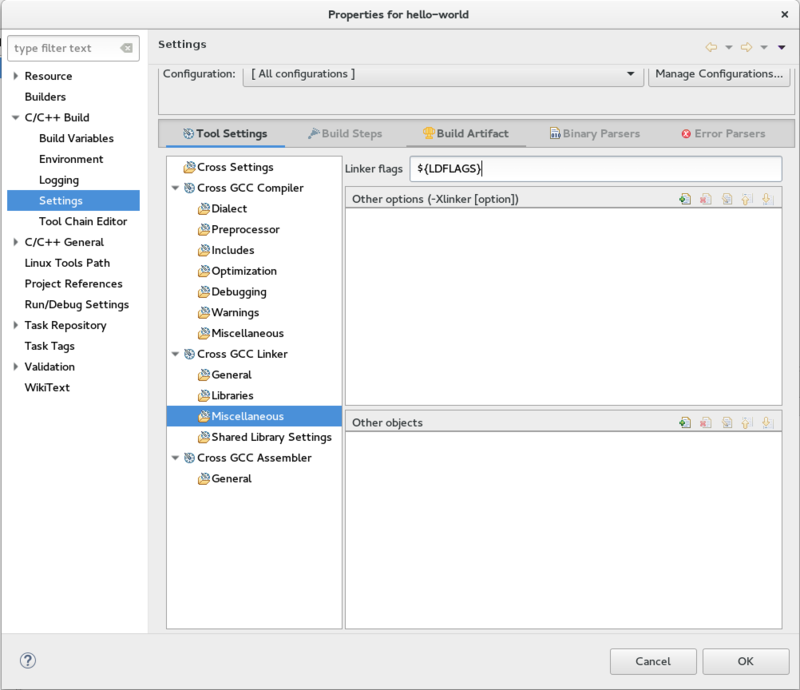 For projects with specific flags, you may want to set the parameters directly in the Eclipse IDE instead of using the variables exported by the setup script. 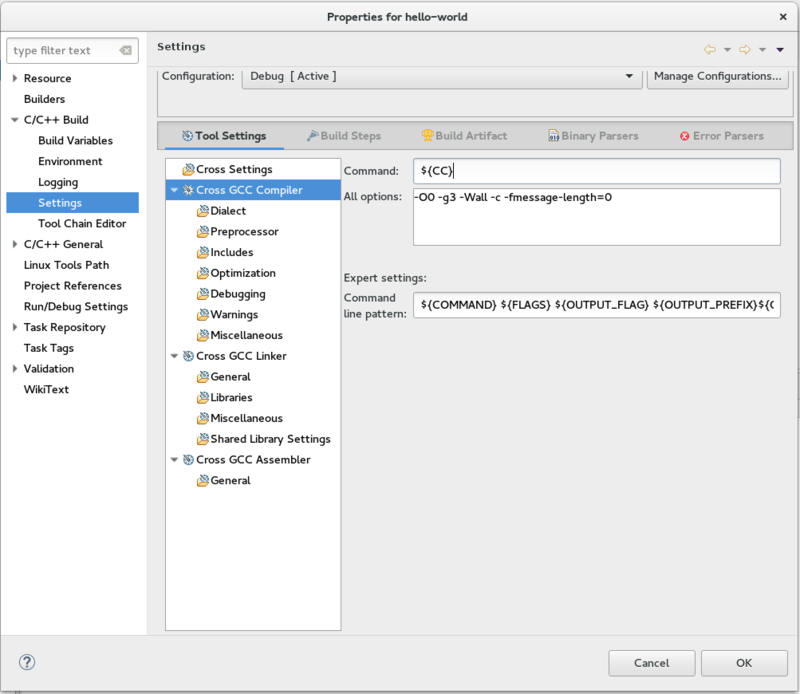 For that, please see the question How can I directly set the compiler flags in the Eclipse IDE from this FAQ. The same logic applies to other settings, such as C flags, C++ compiler, among others. On the official Eclipse website. Google and forums might provide additional useful information when trying to solve issues. 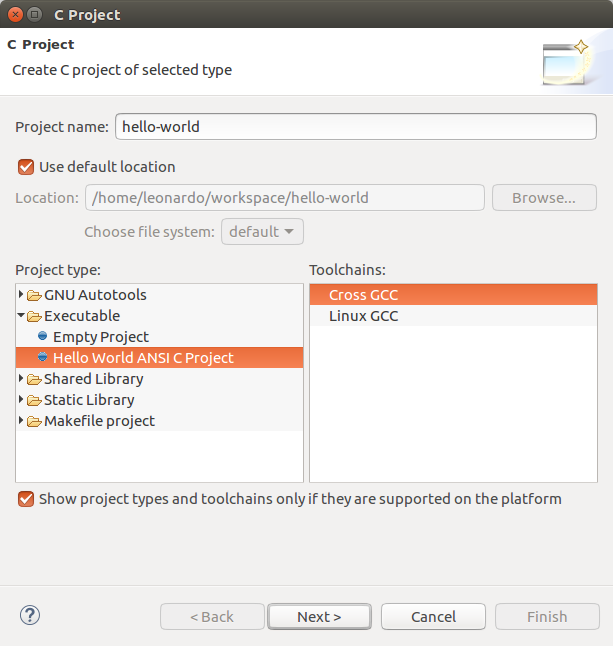 This tutorial was tested for the Eclipse Neon release, using the Eclipse IDE for C/C++ developers. You can try any version you want, although steps may vary from the ones presented in this guide. 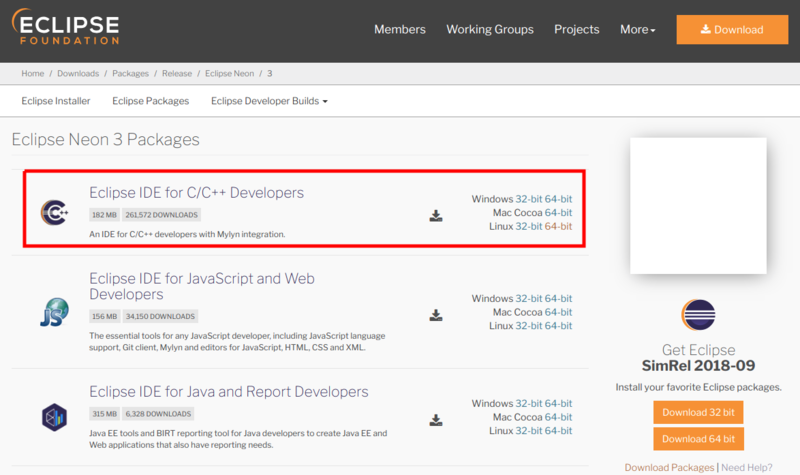 Consult the Eclipse website for information about new releases and features. 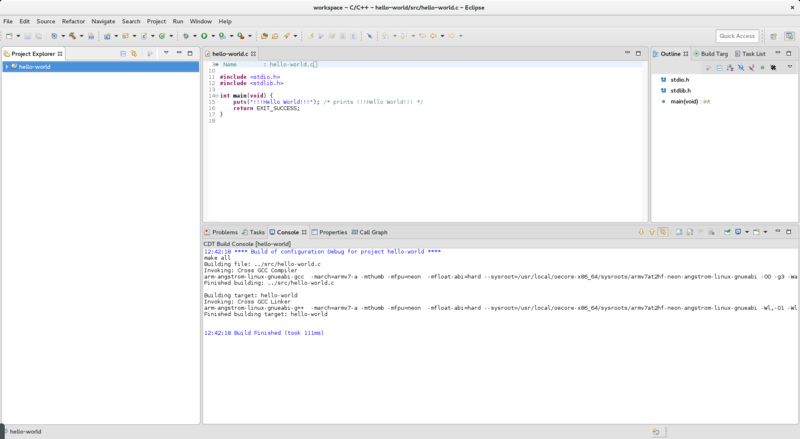 Text editors such as Gedit, Sublime, Nano, Emacs and Vim, among others.